I've purchased Diamine Graphite thinking it is a gray ink. I even expected it to be lighter than Pilot Iroshizuku Fuyu Syogun (which I have complained being too light.) 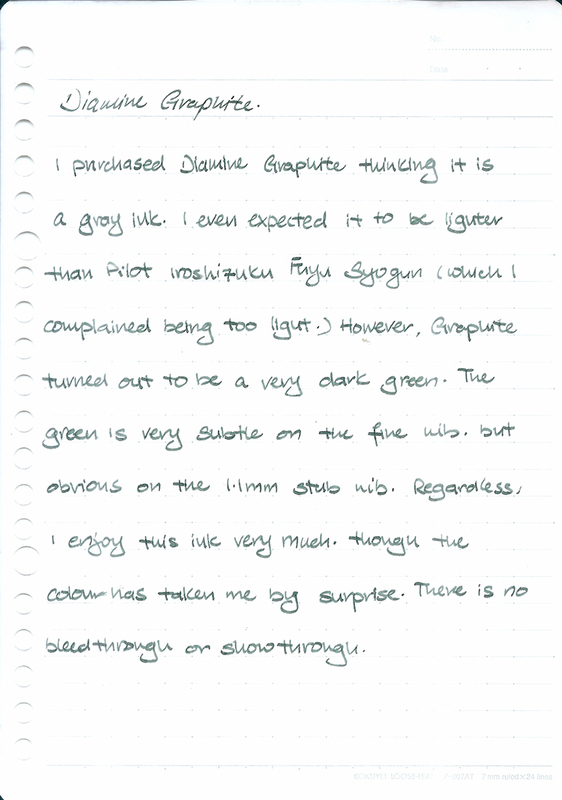 However, Graphite turned out to be a very dark green. 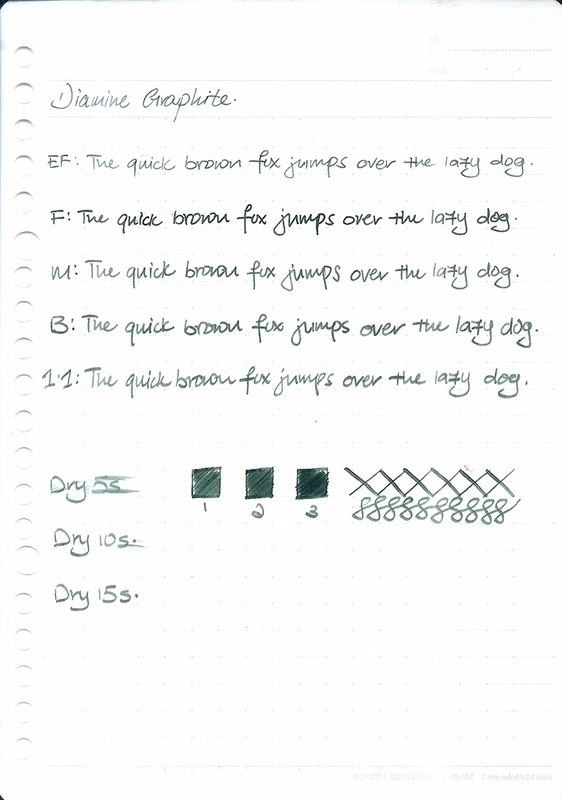 The green is very subtle on the fine nib but obvious on the 1.1 stub nib. Regardless, I enjoy this ink very much though the colour has taken me by surprise. There is no bleed through or show through.